i haven't posted many crafts lately, and that's mostly because i haven't been doing many crafts. i have been so busy with other things. there's never enough time left for craft projects. i have a few fun things in the works to share eventually. 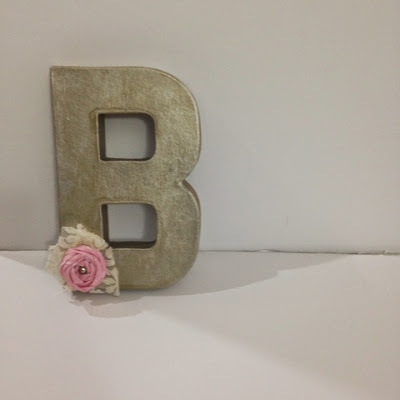 i made this B sign for my neighbor's baby gift. it is so simple to make and so cute. i love giving handmade gifts, and i especially love gifts that are simple and quick.